In my time on this planet, I have manage to cram in some experiences; traveled abroad, published a book, gave birth, and completed 3 half marathons, just to name a few. However, there is one thing I have never done – viewed Three on a Match on the big screen. It’s my favorite Ann Dvorak film. In fact, it’s the first Ann-D flick I ever saw. It’s the movie that set me on a wild Dvorak journey and the reason why I am typing these words right now. And yet, in the 21 or so years since I first viewed Three on a Match in my mother’s living room on a VHS copy that I checked out from the Glendora Public Library, I am not aware of it ever having been screened in Los Angeles. If it did, I regrettably missed out. This is all going to change tomorrow when I settle in to my seat at the Billy Wilder Theater at 7pm (Saturday, November 5th.) The screening is part of the UCLA Film & Television Archive’s tribute to Joan Blondell (how amazing is that?). To top it all off, it’s a 35mm print! Oh glorious day. If you’re in Los Angeles and a fan of Ann, pre-Code, Blondell, or a good time in general, head on down to Westwood and be sure to say hi if you do. I’ll be the one bouncing up and down and crying tears of joy. Tickets for the screening can be purchased here and the full Joan Blondell lineup is here. “The Bachelor’s Daughters” at the New Beverly Cinema! My apologies to all you Los Angeles-based Dvorak devotees for the short notice, but TONIGHT and TOMORROW (July 4th) the New Beverly Cinema is going to be screening The Bachelor’s Daughters featuring our Divine Miz D! This is part of an Andrew Stone (and Adolphe Menjou) double feature which also includes Hi Diddle Diddle. 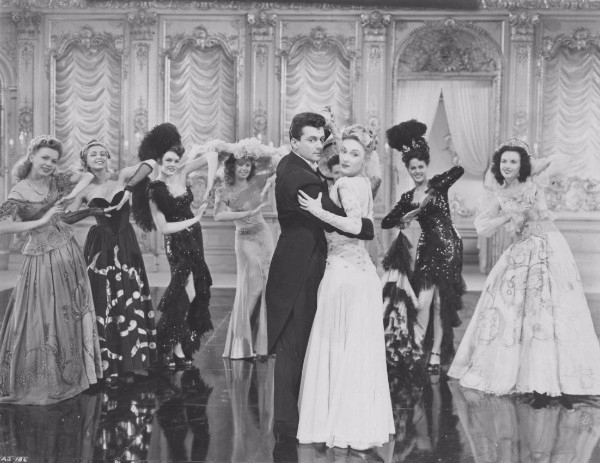 The Bachelor’s Daughters is a fun film with a hell of a cast joining Dvorak and Menjou; Billie Burke, Claire Trevor, Jane Wyatt, and Gail Russell. It gets bizarrely heavy handed towards the end, but is still worth watching. Ann plays an aspiring singer, and although she had sung in previous films, she is dubbed in this one. Also of note is the dance number she performs. Look closely at her partner during this one and you’ll see dancer Igor Dega in action, who would become husband #2 the following year. The New Beverly Cinema has been a Los Angeles revival mainstay since 1978 and is currently owned by Quentin Tarantino who also does a lot of the programming. The theater screens prints exclusively, and tonight’s double feature is in 16mm. If you live in L.A. with kids and have not taken advantage of their weekend Kiddie Matinees, you’re missing out on one of the best deals in town. My in-laws are visiting this weekend, so I am not sure if I’ll be at Hi Diddle Diddle, but you bet your bottom dollar I will be watching my beloved Ann on the big screen tonight! I love Los Angeles. It’s been home my entire life and as a fan and researcher of classic Hollywood, there probably isn’t a better place to be. However, there is one great deficiency in my years of living in the City of Angels – I have never seen an Ann Dvorak film at a theater in L.A. The closest I came was around 10 years ago when the American Cinematheque, who programs at Grauman’s Egyptian Theatre, scheduled a screening of Howard Hawks’ The Crowd Roars from 1932 with Ann, James Cagney, and Joan Blondell. Unfortunately, the theater received a print of the 1938 The Crows Roars with Robert Taylor which we did not find out about until the film rolled and the MGM lion mightily roared, to my extreme disappointment. 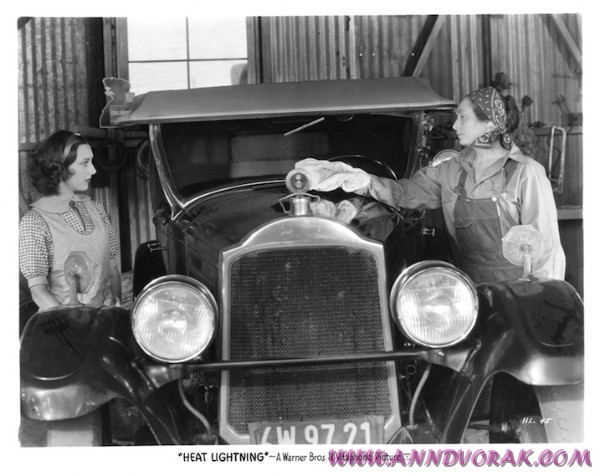 Now, this horrible wrong is going to be righted in the best possible way with a screening of Heat Lightning, one of my favorite Ann Dvorak films. This fabulous flick is part of a quadruple “proto-noir” marathon which is closing out the annual Noir City festival presented by the American Cinematheque in collaboration with the Film Noir Foundation at the Egyptian. Also on the bill are The Ninth Guest, Let Us Live, and Safe in Hell, three films I have never seen. All in 35mm! 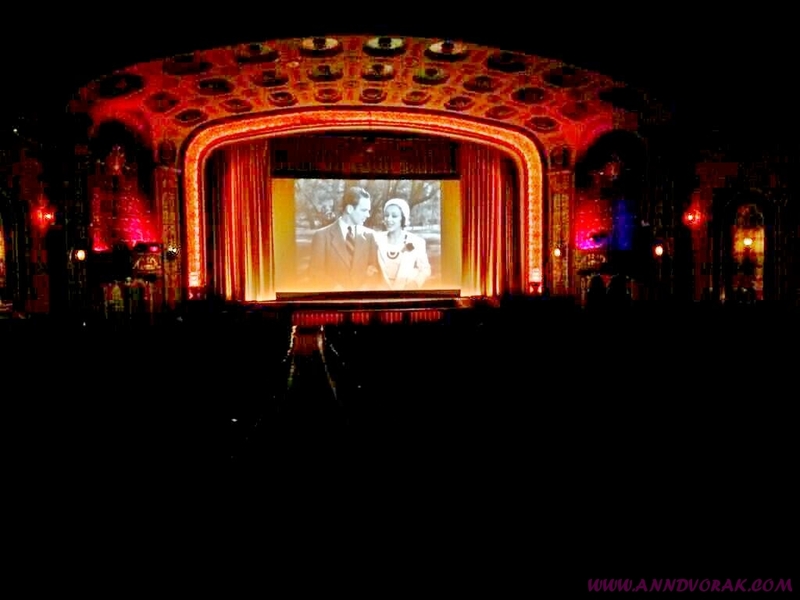 What could be better than spending an evening watching a favorite Ann Dvorak film in a historic theater full of people? Why, introducing that film of course! That’s right, I’ll be joining Eddie Mueller and Alan K. Rode of the Film Noir Foundation in giving an introduction of my beloved Heat Lightning, which makes me giddy beyond belief. The full line-up is posted on the Cinematheque’s website. Stop by and say hi if you can! This Thursday, the Library of Congress Packard Campus for Audio Visual Conservation in Culpeper, VA will be screening an archival print of The Crowd Roars at 7:30 in the State Theatre. This snappy pre-Code features Ann Dvorak opposite James Cagney and Joan Blondell under the watchful eye of director Howard Hawks and is definitely worth checking out. Plus, it’s free! Full details can be viewed over at the Library of Congress website. Around 10 or 11 years ago, I had the opportunity to see The Crowd Roars at the Egyptian Theatre in Hollywood. At the time, I had never seen an Ann Dvorak film on the big screen and was beside myself with excitement. A few friends joined me and as the lights dimmed, we all eagerly awaited the moment to cheer loudly when Ann made her first appearance onscreen. And then the MGM lion appeared with its gallant roar. Unfortunately, The Crowd Roars with Ann Dvorak and James Cagney was a First National/Warner Bros. film, not an MGM production. The place where the theater had ordered the print from sent the wrong film! Instead of a gritty Howard Hawks racing drama, we viewed a glossy 1938 MGM boxing drama of the same title with Robert Taylor, Frank Morgan, and Maureen O’Sullivan. I guess anyone can make that mistake, but the theater never even acknowledged it! Funny thing was that no one else seemed to notice or care, so I sat there bitterly not watching Ann Dvorak and then wrote a strongly worded email the next day. Come to think of it, I never did cash in those free tickets they offered. I am pretty sure the Library of Congress will have their act together and show the correct film, so go enjoy The Crowd Roars if you can! With Matthew C. Hoffman of the Park Ridge Classic Film Series. It’s true what they say about Chicago – it IS one hell of a town. Specifically one hell of a film town. 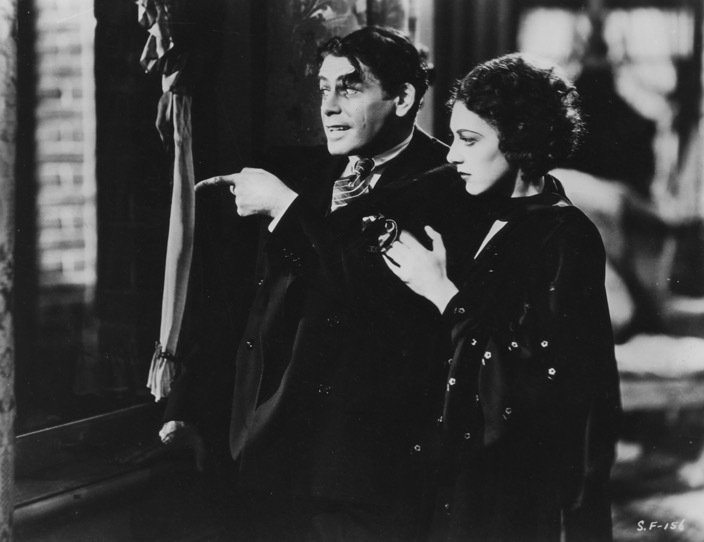 I am still dumbstruck that I was invited to introduce two Ann Dvorak films on consecutive nights at two different movie palaces in the Windy City. 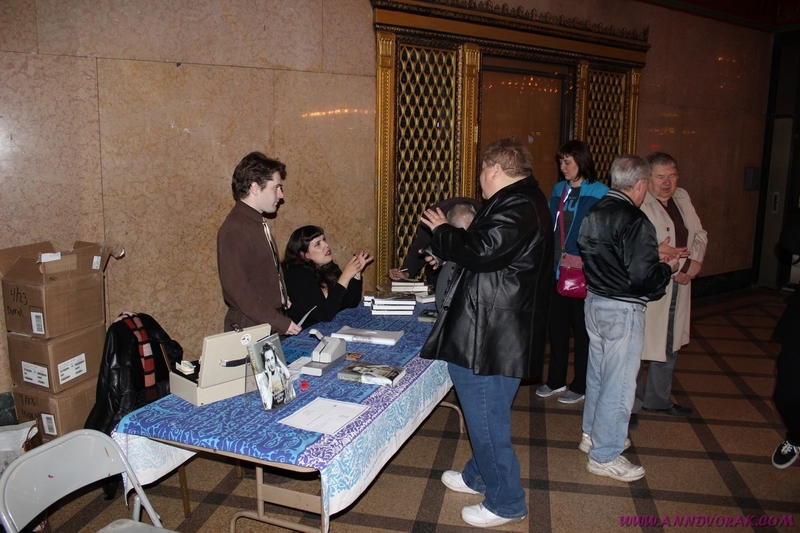 On both nights I was welcomed with open arms by appreciative classic film fans and even managed to sell a few books. 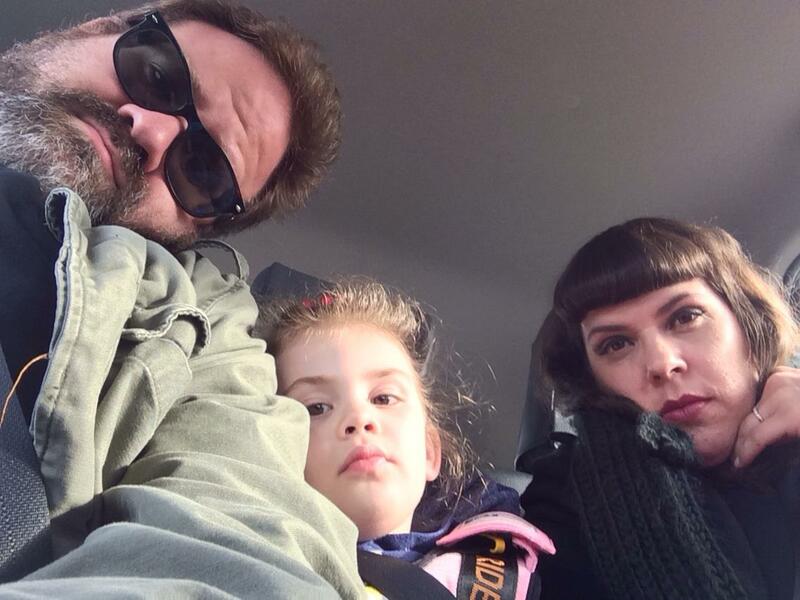 Me and the family cabbing it in traffic to the Patio Theatre. And they say the traffic in Los Angeles is bad! First up was The Strange Love of Molly Louvain at the Patio Theatre in the Portage Park neighborhood. The screening was sponsored by the Northwest Chicago Film Society who secured a restored 35mm print from the Library of Congress, which was gorgeous. Around 250 people showed up, and it was exciting to see this film on the big screen for the first time with an appreciative crowd. The only damper on the evening was that this was the last screening at the Patio for the foreseeable future, as the owners are having trouble maintaining the operating costs. 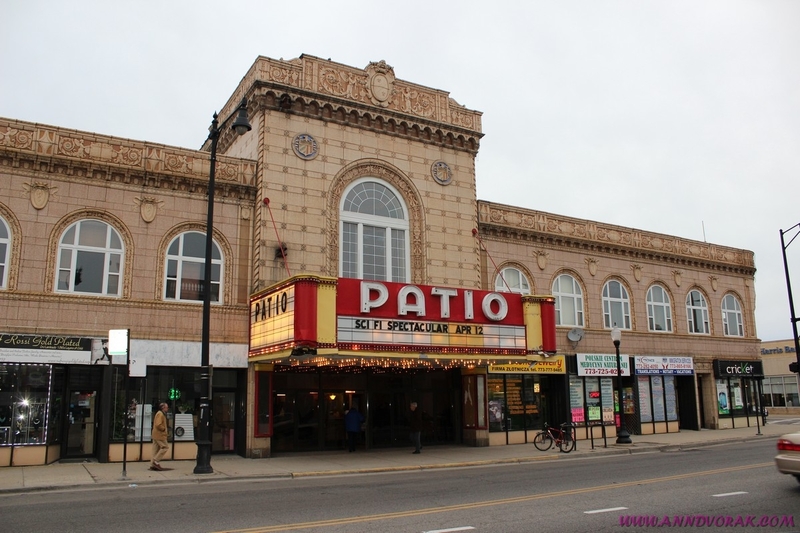 The gorgeous Patio Theatre in Portage Park. Unfortunately, the marquee had not been updated for Molly Louvain. Kyle Westphal of the Northwest Chicago Film Society and me in a deep Ann Dvorak conversation with a film fan. Testing the print an hour before showtime. Kyle and me Q&Aing it up after Molly Louvain. Night two brought us to the Pickwick Theatre in the suburb of Park Ridge for Scarface, sponsored by the Park Ridge Classic Film Series. At least 100 people came to this gorgeous theatre to watch this 1932 classic. This was the third or forth time I have seen the gangster flick on the big screen and it never gets old. Even though I have seen Scarface countless times over the years, I never made the connection that the play Muni and his gang are watching shortly before gunning down Boris Karloff in a bowling alley is Rain. As I’ve noted before, Howard Hughes made every attempt to secure the film rights for Rain in order to have Ann Dvorak star as Sadie Thompson. It didn’t pan out and Joan Crawford ended up with the role. I’m not sure if this was something Hughes requested of director Howard Hawks or if it were just a coincidence. 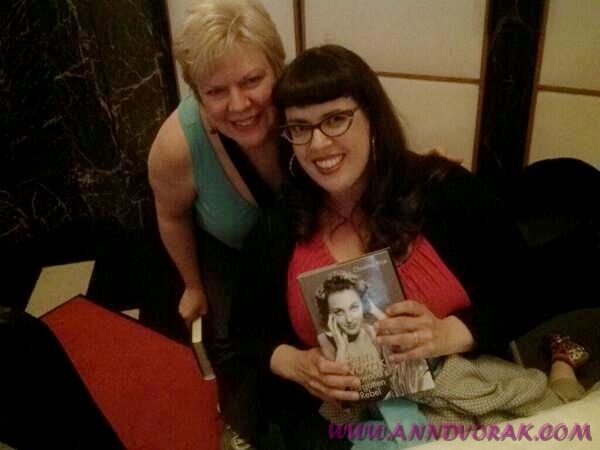 Recently converted Ann Dvorak fan Michele drove in from Indiana to see Scarface! 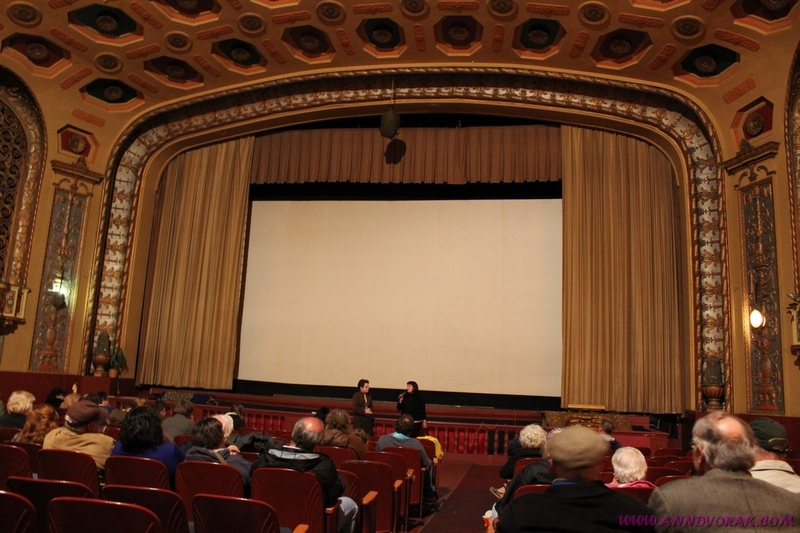 I need to extend my sincere gratitude to Kyle Westphal of the Northwest Chicago Film Society and Matthew C. Hoffman of the Park Ridge Classic Film Series. They were the ones responsible for pulling the two nights together and were incredibly hospitable to me and my family. Kyle and Matthew were at both screenings, handled logistics and took care of the book sales. Chicago film fans are very lucky to have these two! Over the course of the two nights, I was able to meet up with old friends and new ones and it was wonderful to see so much attention focused on Ann Dvorak. As if the screenings themselves were not grand enough, me and the family had a blast at the Lincoln Park Zoo, the Adler Planetarium, many pizza places and a productive weekend for my husband at the C2E2 convention. 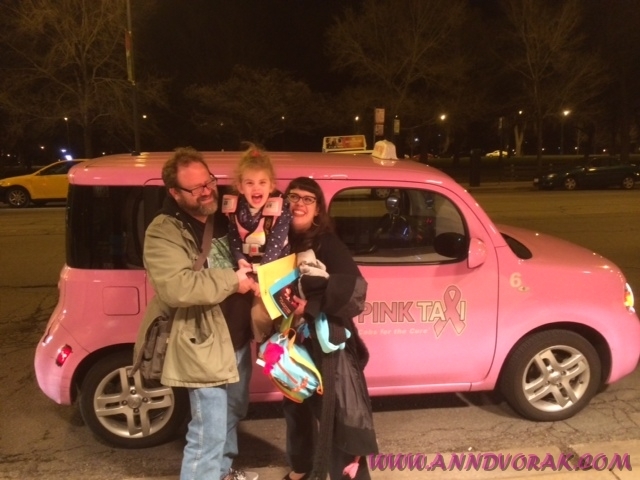 It’s quite possible that my daughter’s favorite part of the entire trip to Chicago was the pink taxi we took from Park Ridge to Lincoln Park after Scarface. I have to admit it was difficult to leave such a beautiful city, though the 80+ degree temperatures in Los Angeles were a nice welcome home present. Just in case you missed them, I did interviews all about Ann-D over at the Chicago Reader and the Cine-File blog. Just a reminder that I am in Chicago for the next two nights (well, the next five nights technically) introducing Ann Dvorak pre-Code films in classic movie houses! First up is tonight’s 35mm screening of The Strange Love of Molly Louvain at the Patio Theatre at 7:30. I’ll be giving a brief introduction to the film and signing books before and after. The is going to be the last event at the theatre for the foreseeable future, so come on down if you’ve never been. Full details are here. 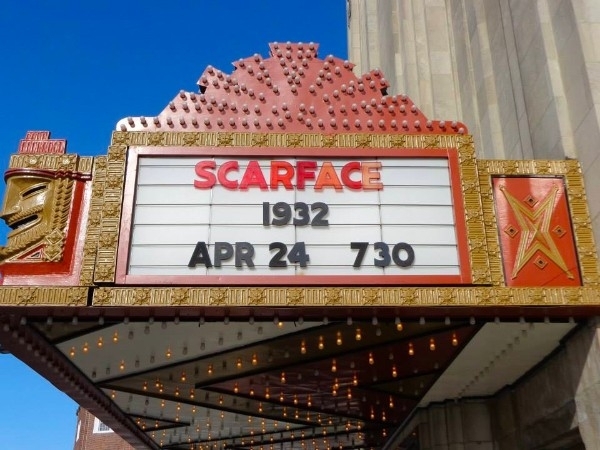 Tomorrow, I’ll be over at the Pickwick Theatre in Park Ridge for Scarface where I will again be giving a brief introduction to the film and signing copies of Ann Dvorak: Hollywood’s Forgotten Rebel. You can get the lowdown on this screening here. Ann Dvorak screenings on consecutive nights at different theaters doesn’t happen often (if ever), so stop by and say hi if you can! For those of you who cannot make it to the screenings, here is an interview I did over at the Chicago Reader. Hope to see you tonight and tomorrow!! 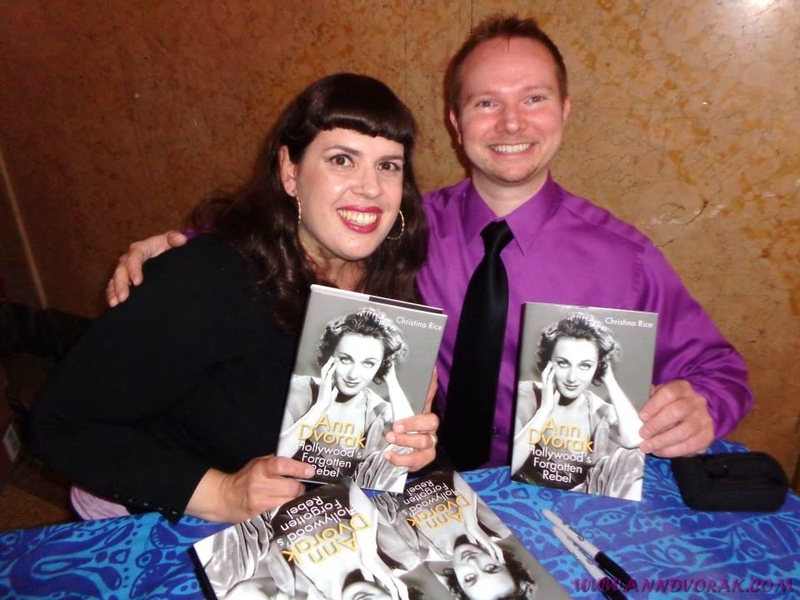 The Ann Dvorak Book Tour is Coming to Chicago! At long last, the hotel and plane tickets are booked and everything is in place for a double dose of Ann Dvorak in Chicago this month! First up will be the screening of a 35mm print of The Strange Love of Molly Louvain at the Patio Theatre on Wednesday, April 23rd at 7:30 pm. This event is co-sponsored by the Northwest Chicago Film Society and Park Ridge Classic Film Series with the book sales generously sponsored by The Book Cellar. I’ll be giving a brief introduction to the film and will be on hand before and after to chat and sign books. I have never seen Molly Louvain on the big screen, so this would be a special treat even if I weren’t introducting it! 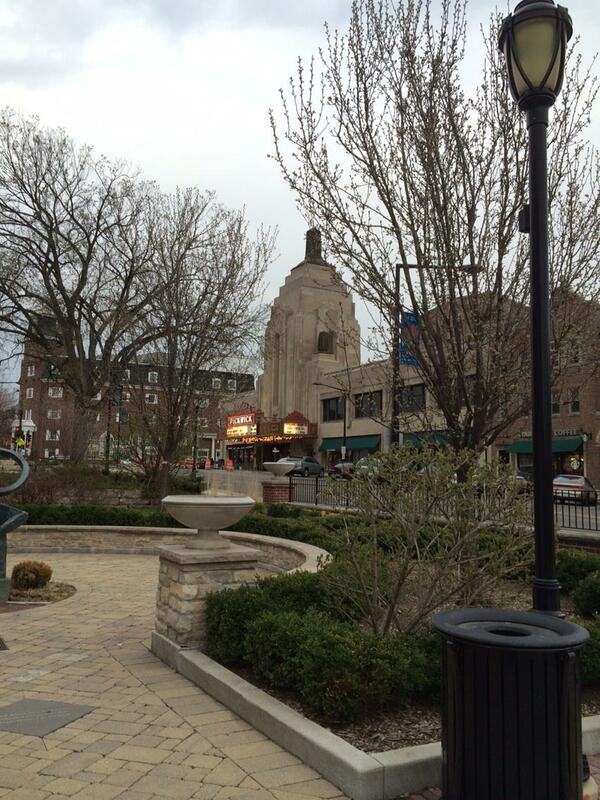 Next is a screening of Scarface in the neighboring suburb of Park Ridge, which is part of the Park Ridge Classic Film Series at the Park Ridge Public Library and the Pickwick Theatre. This will be the following night, Thursday, April 24th at 7:30 pm. Once again, I’ll be introducing the film and signing books before and after, courtesy of The Book Cellar. Honestly, I never thought I would find myself in a gorgeous deco theatre introducing Ann in her most famous role, so this should be quite thrilling. These will be a couple of the few out of town appearances I will be doing this year, so stop on by if you can! Very special thanks to Matthew C. Hoffman of the Park Ridge Classic Film Series and Kyle Westphal of the Northwest Chicago Film Society for making these two events happen. 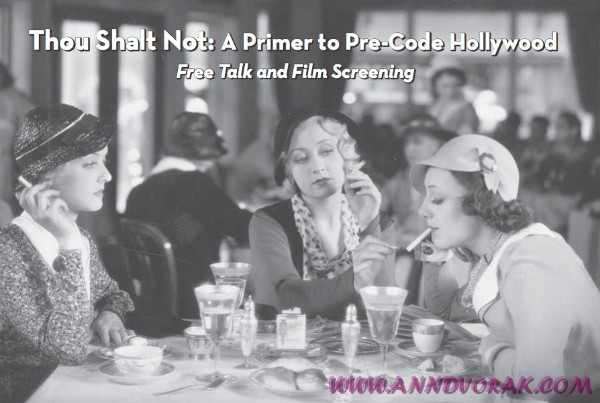 Tomorrow, I am going to be giving a brief lecture on pre-Code cinema followed by a screening of an Ann Dvorak film. The program is going to be at Central Library where I work, and our licensing agreement with the studios prevents the film title or studio from being advertised. I am not sure if that agreement actually extends to this website, but I would rather not take any chances. 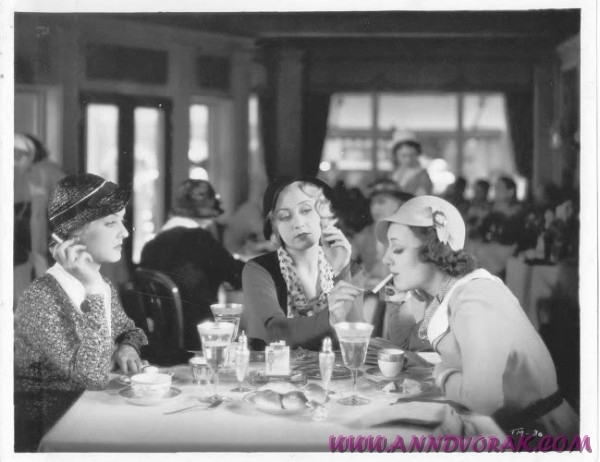 So, I will just say that the lecture will be followed by a screening of a pre-Code gem starring Ann Dvorak, Joan Blondell, and Bette Davis as childhood friends who are reunited years later, causing Dvorak’s life to derail after she’s the third to light her cigarette on a match. Start time is 2pm in the Taper Auditorium, and it’s FREE! Full details can be found here.